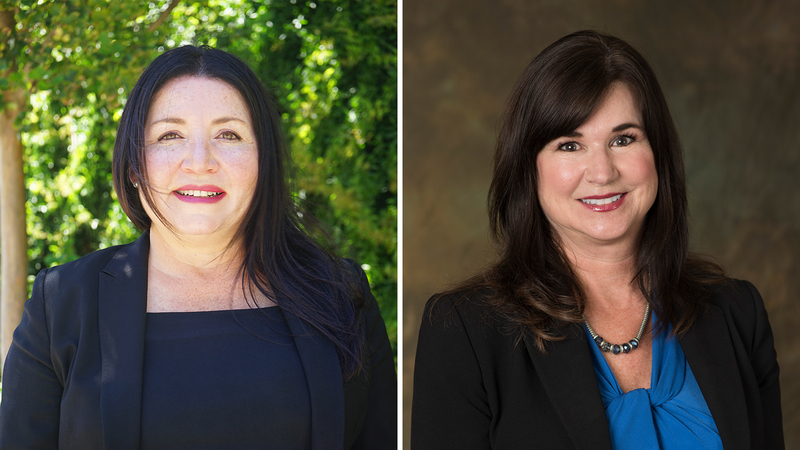 Comcast California is proud and honored to celebrate two of its most distinguished women in leadership roles. In May, Lorena Hernandez was named one of The Most Influential Women in Bay Area Business by the San Francisco Business Times. While in June, Judy James won the North Bay Women in Business award presented by the North Bay Business Journal for her professional achievements as well as her personal commitment during the North Bay Fires. Below is a portion of the honoree responses that appeared in the publications. Lorena: I earned my B.A. in Communications and Political Science from California State University, Sacramento. Judy: Santa Rosa Junior College and Cal Poly, San Luis Obispo. I earned my B.A. in Ag Business Management with a minor in Marketing. Lorena: I’m involved in an organization called UPWARD (Uniting Professional Women Accelerating Relationships and Development), SupplyBank.org, Latinas in Tech and APAPA (Asian Pacific Islander American Public Affairs). Judy: I am the Immediate Past Board Chair of the Santa Rosa Metro Chamber of Commerce, an Associate Board Member of Redwood Credit Union, Board Member of the Sonoma County Alliance, Alternate Board Member of the North Bay Leadership Council, member of the San Rafael Chamber Governmental Affairs Committee, Board Member of Farm Bureau, and Santa Rosa Junior College Foundation’s Ag Trust Committee. Lorena: In my role as Community Impact Director and mentor, I experience proud moments often — from seeing my mentees evolve into successful professional young women/men to witnessing the transformation of low-income families and their children when they get access through our Internet Essentials program that improves their lives tremendously — these are priceless moments. Judy: In addition to my family, I’m most proud that I was able to utilize my network to maximize the effectiveness of Comcast’s generosity and response following the North Bay fires. Under those very trying circumstances it was important to be able to help both as Comcast’s liaison to the community and as an individual supporting family and friends. Who is your most inspirational mentor? Lorena: Senator Art Torres (retired), Vice Chairman, Governing Board of CIRM (California Institute for Regenerative Medicine). Judy: My immigrant grandparents who taught me the value of hard work, the importance of community involvement, and of the opportunities that are available to us all. What do you think helps women advance in business? Lorena: Mentoring is key to the advancement of women. Judy: Get involved in your community and volunteer! Volunteering will help build your network and develop your leadership skills. What has been your biggest challenge or setback? Lorena: Being overlooked for a promotion with an employer at the time seemed like a setback, but it ultimately allowed me to leave and it catapulted me into a career and role that I love now. Also, as a woman and Latina, I’ve had to break many barriers to be considered as an equal in my professional career. Judy: Keeping all of the balls in the air! It’s challenging to manage ever-changing legislation, revolving elected officials and accelerating technological advances. It’s these challenges that make my job interesting and rewarding each and every day!